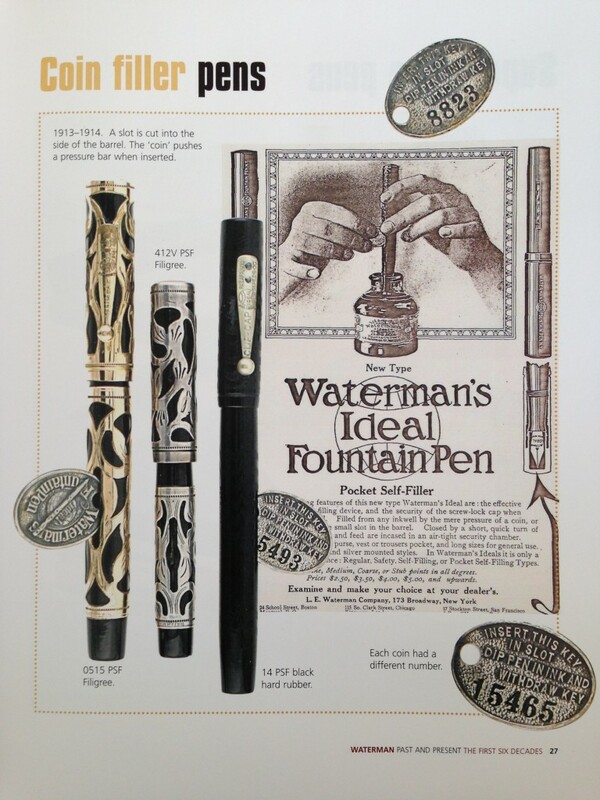 We have previously posted about Waterman’s Coin-Filler fountain pens. In 1908, Waterman released the self-filling pen, but by 1913, the sleeve-filler was improved and The Coin-Filler was launched under a special licence from Conklin. Each coin had a unique key number, making them something fun and interesting to collect today – if you can find one. A great vintage pen, indeed! This entry was posted in Vintage Pens and tagged Coin-Filler, Waterman. Bookmark the permalink. Follow any comments here with the RSS feed for this post. Post a comment or leave a trackback: Trackback URL.